Paragon Bank has reviewed its two-year fixed rate bond which now pays 2.30% upon its anniversary or 2.28% monthly. Savers must invest from £1,000 up to a maximum of £100,000. Additions are permitted within five days of the account opening, but no earlier access is allowed. This deal is for savers aged 18 and over and must be operated online. Internet investors will be intrigued by this latest update from Paragon Bank, which sees its two-year fixed rate bond enter the Moneyfacts.co.uk Best Buys. Priced at 2.30%, this deal would make a great choice for anyone looking to maximise their interest over the shorter term. 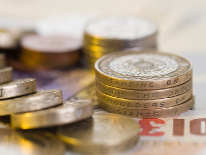 Julian Hodge Bank has tweaked its five-year fixed rate ISA, which now pays 2.50% yearly. Savers must invest from £5,000. Additions are not permitted but, early access is allowed subject to closure and the payment of a penalty. Transfers in from both cash and stocks & shares ISAs are accepted. This deal is for savers aged 16 and over and can be operated in branch, by post and by telephone. The 2.50% five-year fixed rate ISA from Julian Hodge Bank is highly competitive, sitting within the top five in the market. This deal would make a great choice for anyone who has yet to utilise this year’s tax-free allowance. Savers who have yet to make the most of this year’s tax-free allowance will be excited by this new amendement by Julian Hodge Bank. Paying 2.50%, this deal sits among the Moneyfacts.co.uk Best Buys and would make a great choice for anyone looking to keep their savings away from the taxman. Chelsea Building Society has amended the priced of its two-year fixed rate mortgage, which now has a price of 1.84% to 31.1.18. This deal is for first and second-time buyers only who borrow between £25,000 and £5 million at 75% loan-to-value. No fee is payable and an incentive package of free valuation and a £250 rebate upon completion of the mortgage. This deal has the flexibility of being able to make overpayments, underpayments and take payment holidays. The 1.84% two-year fixed rate mortgage from Chelsea Building Society is highly competitive and heads straight into the Moneyfacts.co.uk Best Buys. As well as a great rate, this mortgage also has a fantastic incentive package allowing borrowers to earn £250 upon completion of the mortgage, which when coupled with the absence of any fees, will no doubt make this a popular choice for borrowers who are looking reduce costs. Chelsea Building Society’s lending area includes Scotland. This latest update from Leeds Building Society ihas made this deal highly competitive. Priced at 1.90%, it sits comfortably within the top 10 of its sector and is a great option for those looking to secure low monthly repayments.